Friends. Friends. Friends. 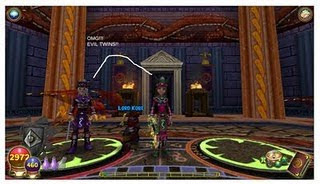 You know they are important in Wizard101. And here are the ones who have helped me the most and stuck with me for a long time. Cassandra GriffonDreamer: She has helped me through tough times, and the day mounts came out, gave me a broom mount, which was awesome. Thomas LionBlood, who has been posting guides for like, ever, and we all think he's awesome: Kestrel ShadowThistle, annoying David TitanRider all the time: If I had the time, I would post every single person who has helped me, but there are so many I dont even know were to start! Thank you everyone for helping me! I will stinger, I will.